IT IS out of sheer habit that Pakistan Foreign Minister Mr. Shah Mahmood Qureshi made the senseless statement that India was planning an attack on his country between April 16 and April 20. It is only natural that India has called the statement “irresponsible and preposterous” and has rejected it outright. It is also natural that India calls the statement as an attempt to kick up a war hysteria in the region. After having cut a terribly sorry figure the world over following the terror strike at Pulwama and after the surgical air strikes by India at Balakote and thereafter an international lashing at the United Nations, Pakistan is now trying to resurrect some of its lost prestige. Hence the nonsensical statement accusing India of planning an attack on Pakistan. It is shocking that a diplomat makes such a statement. For, making such statements based on imaginary fears is an absolute antithesis of diplomacy, which is an art of building bonds in larger national interest. The statement by Mr. Qureshi is a perfect example of how an irresponsible State indulges in statements that make no sense at any level. Yet, Mr. Qureshi has said that he has “reliable Intelligence” about the so-called attack by India. Only a person like him from a country like Pakistan can make such a statement. It may not be illogical to suspect that Pakistan is trying to subvert the election process that is currently underway in India. It may not also be illogical to suspect that Pakistan wants to thwart the world’s greatest and biggest electoral activity by indulging in provocative statements with a view to creating disturbance among voters. Any such attempt is nothing but an interference in another country’s internal issues and affairs, and therefore is highly condemnable. That is the reason why India has expressed apprehension that Islamabad may be trying to give a call to terror outfits to launch their subversive and violent activities in India just ahead of elections and disturb the process. Any such attempt is quite in tune with the nature of Pakistan as a Rogue State. It is perfectly normal at this stage to recall the train of events in the past few months. By mounting the terror attack on the CRPF convoy in Pulwama, Pakistan had provoked India beyond words. Islamabad was under an impression that as usual, India would lodge a protest and keep quiet. Contrary to that impression Pakistani leadership carried in its head, India’s security forces mounted an armed operation on the ground aimed at surgical cleansing of terror groups and achieved a complete scraping of all terrorist activities in just 100 hours. Then came the airstrike at Balakote eliminating hundreds of terrorists. That surgical airstrike earned India a new acclaim internationally, and also triggered formation of a common front by the United States, the United Kingdom, and France at the United Nations Security Council seeking proscription of terror mastermind Masood Azhar. The Chinese effort to thwart the move was met with a counter-move by way of a direct resolution seeking to blacklist the chief of Jaish-e-Mohammad (JeM). Not just Pakistan, but its strong ally China also had to eat an humble pie in the face of global support India garnered for its position on terror. This sequence of events suggests clearly how India handled the situation in a masterful manner and reduced Pakistan to the status of an inconsequential but Rogue State. 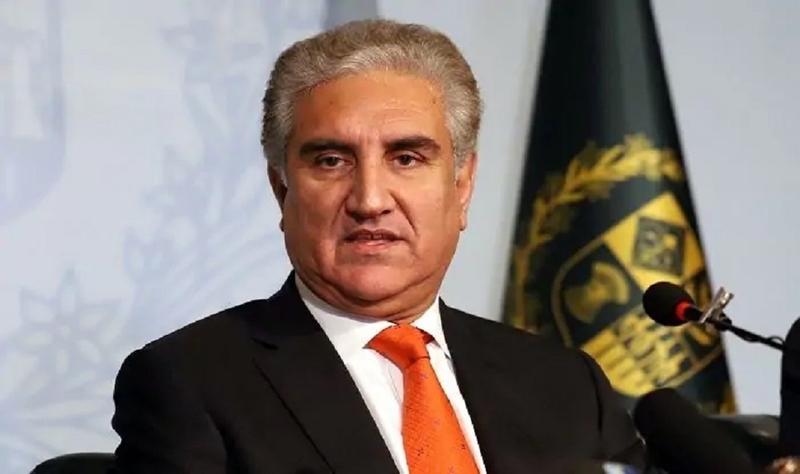 The statement of Pakistan Foreign Minister Mr. Shah Mahmood Qureshi appears to be an attempt to salvage some of the lost ground and prestige post-Pulwama. However, no such attempt is going to serve any purpose for Pakistan. Aside from this, rejecting Mr. Qureshi’s statement outright, India has asserted its right to strike back in real time if Pakistan again indulged in any misadventure. This message is loud and clear and is being backed by the world. Pakistan can only ill-afford to ignore that.